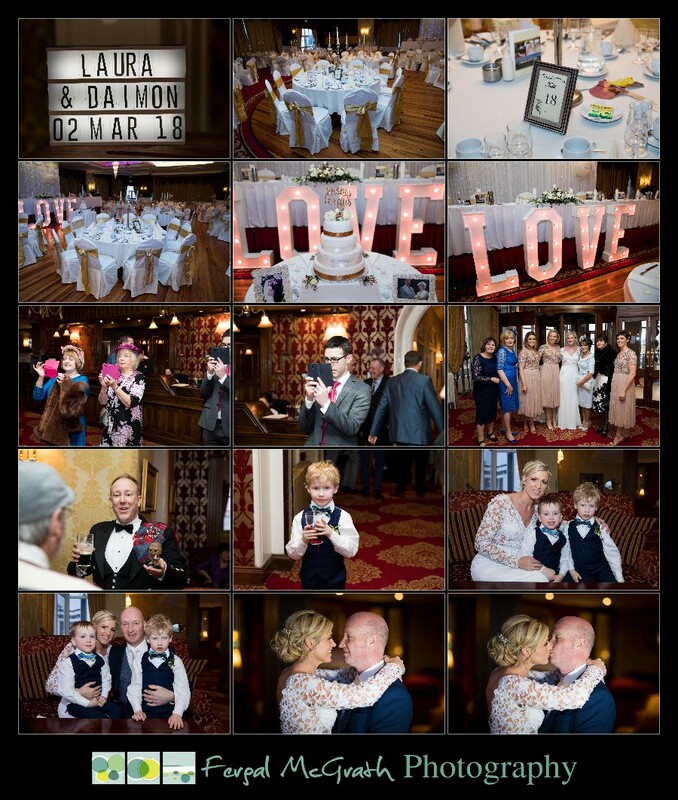 Congratulations to Laura and Daimon who were married in a beautiful wedding ceremony in the Great Northern Hotel Bundoran on the 2nd March 2018. Ah the 2nd of March 2018 – storm Emma– red and orange weather warnings issued- half of Ireland neck deep in snow and the rest battered by winds and extreme cold- we didn’t get the snow in Bundoran but by God we got the cold in bucket loads!! Baltic it was- but it didn’t stop Laura and Daimon going to the top of Rougey for their photos- it may have been 10 degrees below zero with the wind chill but everyone battled on and smiled through it and as a result we got a beautiful set of images to show and thankfully everyone thawed out within 48 hours!! I started my day off meeting Laura and her bridesmaids Joanne, Carole and Aideen in Blown Away hairdressers on Bundoran’s main street. The hair and makeup was well underway and the girls were enjoying some champagne and nibbles as I got a few candid photos. I also met up with Conor from CMP Productions who was on hand to provide the cinematic videography for the day and as always it was a pleasure to work seamlessly alongside Conor- check out his fantastic work on his website here. After I left the girls I made my way up to Daimon who was getting his last minute editing done to his speech. Daimon was relaxed and taking everything in his stride and braved the cold morning winds for some quick portraits outside before I made the short drive to Laura’s house where she was getting ready with the girls. While the girls enjoyed a bit of breakfast and a chat I worked away at getting all the important details photographed- it’s the small things that brides do that make their weddings so personal that are important to capture and I try my best to miss nothing. I managed to find a small snow drift in the back garden and it made a great place to capture some photos of Laura’s wedding shoes and bouquet. After Laura put on her stunning wedding dress we got some portraits of everyone before making our way to the Great Northern Hotel for the wedding ceremony. As I arrived at the hotel I met with Daimon and the groomsmen Shane, Cormac and Cathal who were busy meeting and greeting guests and doing some last minute checks before the arrival of Laura. The wedding ceremony was beautiful with Laura and Daimon’s two sons Billy and Jamie helping out with a fantastic sand ceremony. After the ceremony we got some family photos done before braving the cold outside to get a few photos with the local Bundoran Fire Engine as Daimon is a long serving member with the local fire station. From there we made our way to rougey- it was probably the only day in the last few years where I can say I really missed having any hair! 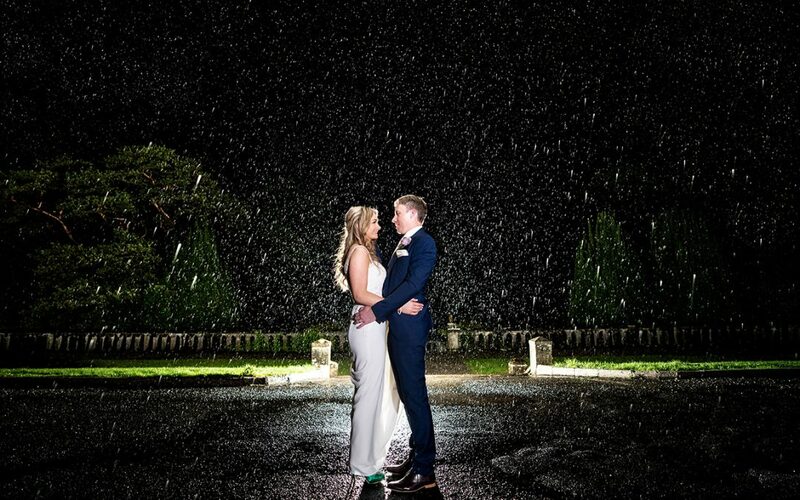 My head was like a frozen snowball- but Laura was wearing a wedding dress so I had no grounds for complaint at all. We worked quickly and got our photos done in record time before heading to Maddens Bridge Bar for a well deserved hot drink. 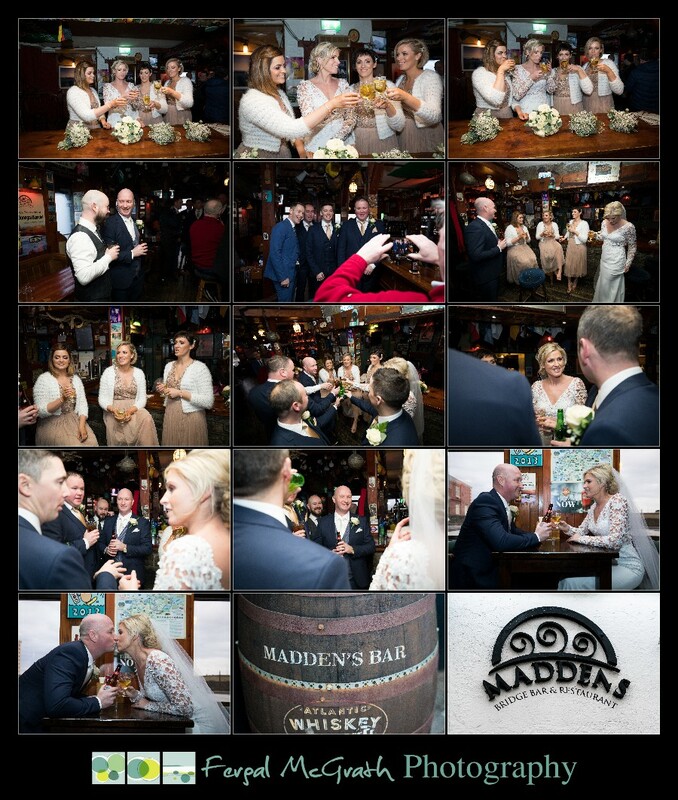 Laura and Daimon first met in Maddens so it was great for them to be able to go there for a quick drink and a chat on their wedding day. With the skin tones returning from a deep blue colour to a more natural pink we left Maddens and made the short trip back up to the hotel for the wedding reception. As always the Great Northern Hotel looked fantastic and it was great to get into the toasty dining room. During the speeches there was a great moment when the head of the local RNLI Lifeboat Station made a presentation to Daimon of a medal for his long service with the RNLI crew in Bundoran. The band for the evening Deja Groove got set up after dinner and had the dancefloor filled from the start and by the time I was packing up to go home the party was still going strong and the dancefloor full. 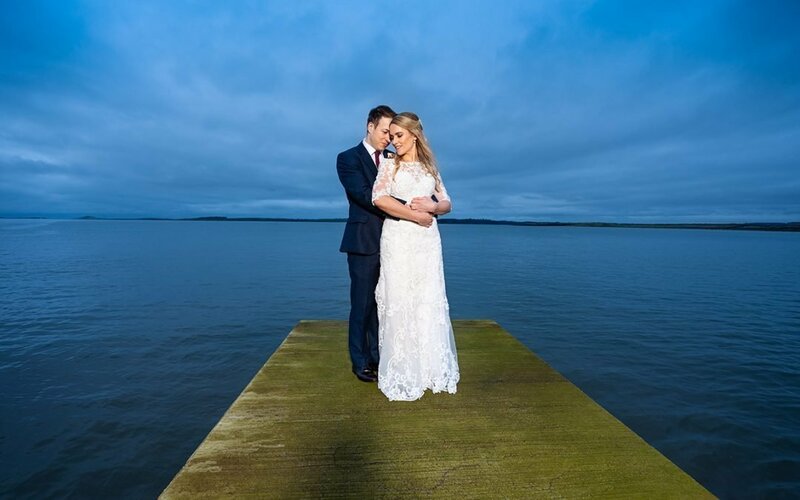 I would like to take this opportunity to thank Laura and Dimon for having me as part of their beautiful Great Northern Hotel Bundoran Winter Wedding and I would like to wish them the very best of everything life has to offer. 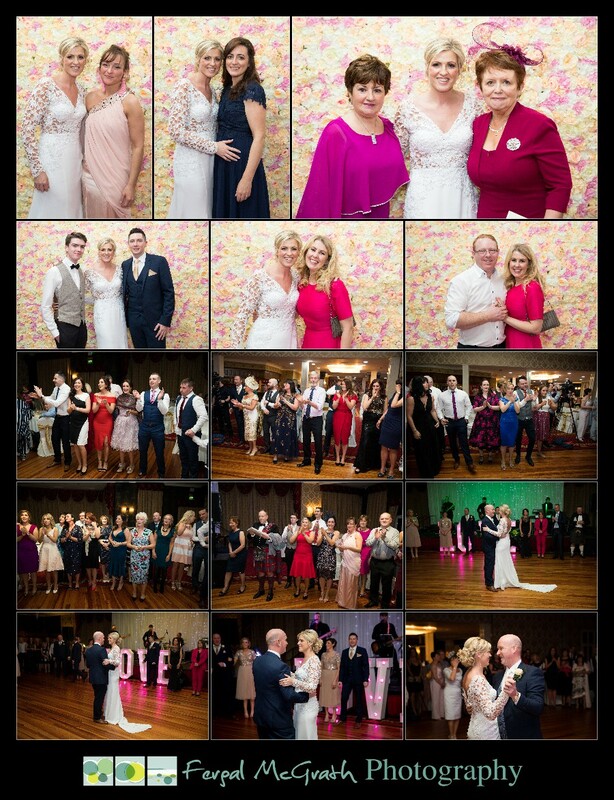 Below are some images from Laura and Daimon’s wedding and also some of the other wedding vendors who helped make their wedding day so special…. enjoy…. 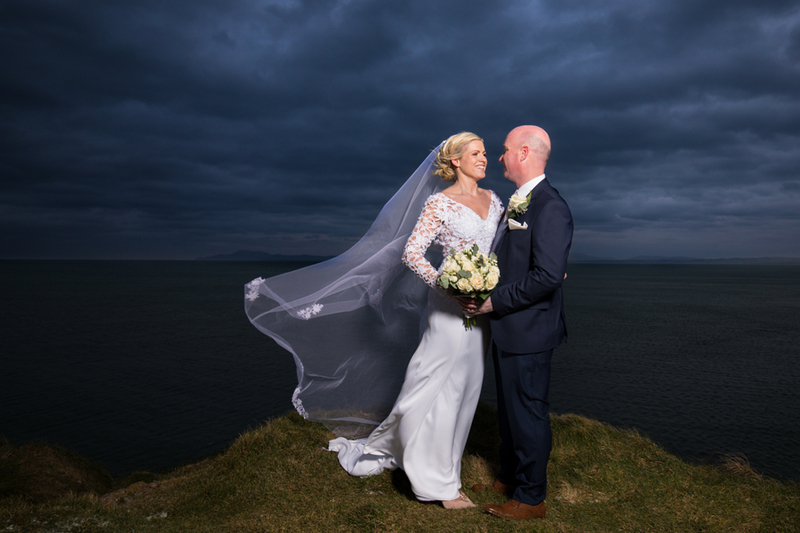 Click PLAY below to watch a Fusion Slideshow of Laura and Daimon’s stunning Great Northern Hotel Bundoran Winter Wedding. 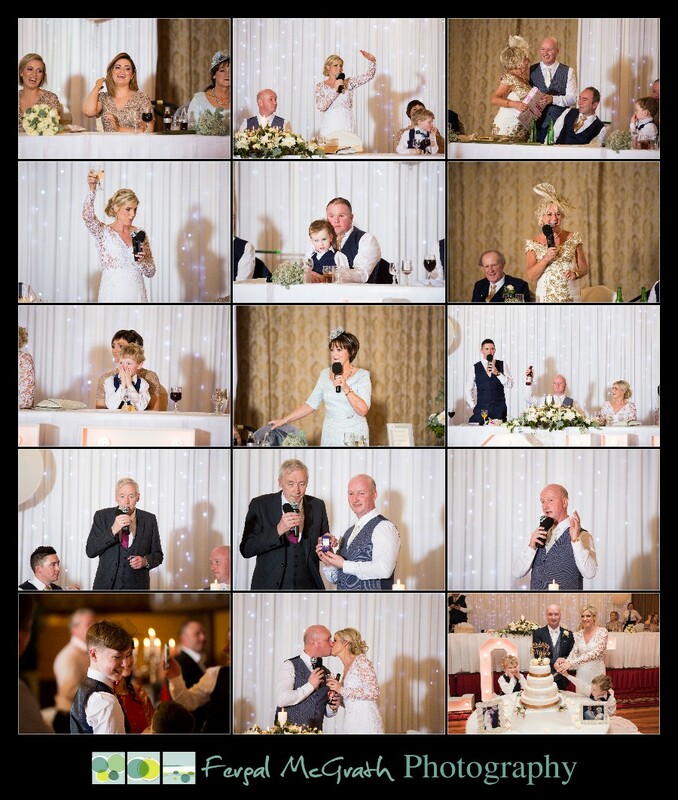 If you are planning your own Great Northern Hotel Bundoran Winter Wedding and would like to book Fergal Mc Grath Photography for your wedding day please use the Contact me page on this website to get in touch. 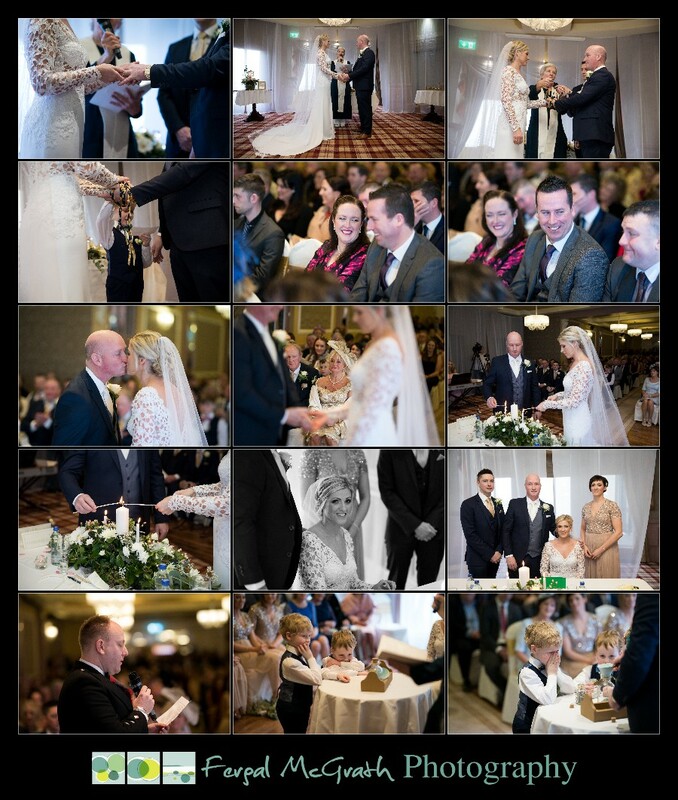 You can view more of my Wedding photography portfolio here. 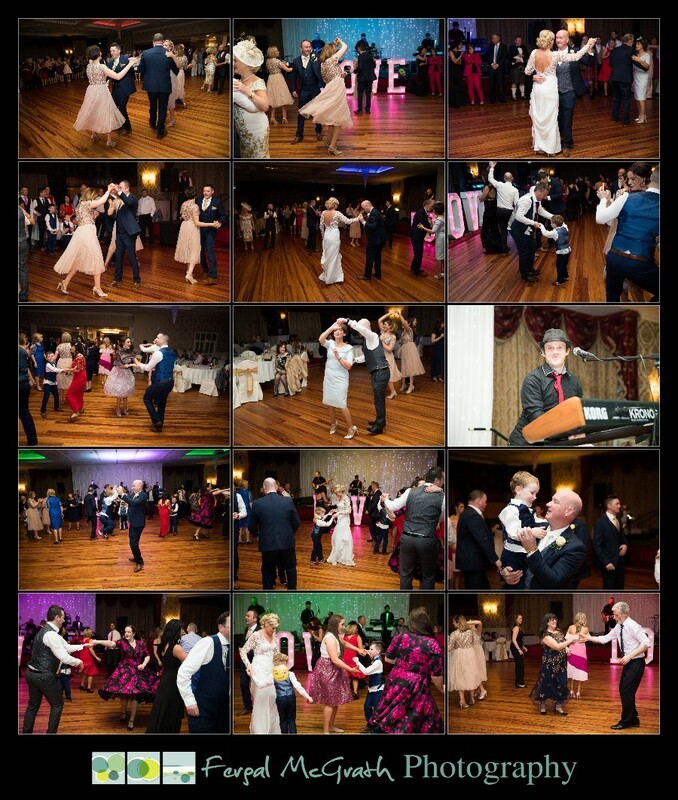 To view more of my Fusion wedding slideshows please visit and subscribe to my Youtube Channel here. 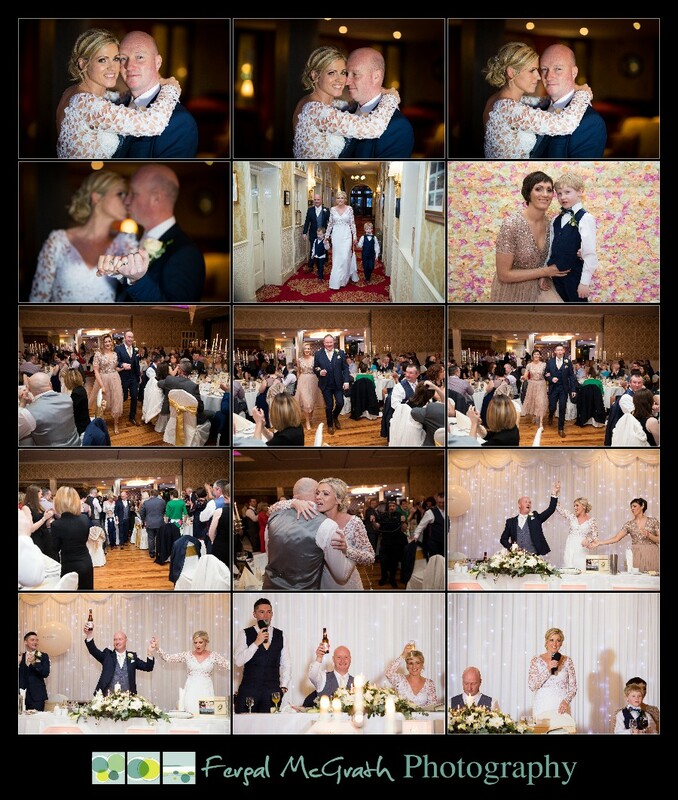 You can also follow me on Fergal Mc Grath Photography Instagram. 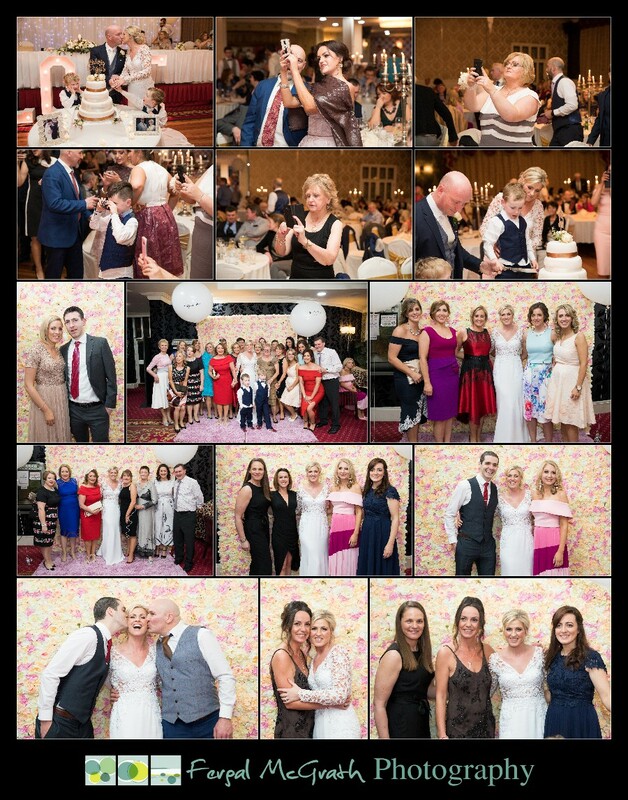 Congratulations to Áine and Patrick who were married in St. Bridget’s church Breedogue Boyle Co. Roscommom followed by a fantastic Belleek Castle wedding reception for their families and friends on the 15th of March 2019.